The Curse of Monkey Island probably requires little introduction considering its reputation as a classic Lucasarts point 'n' click adventure (which is why it appears at #95 on the Choicest Games Top 100). 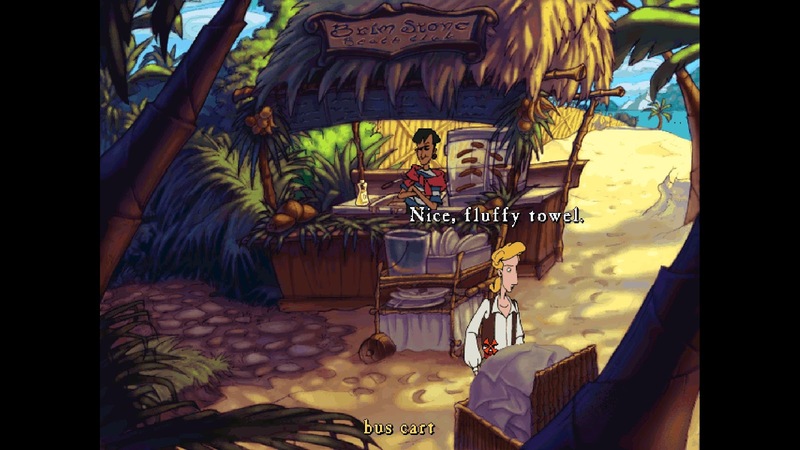 Despite being the third game in the Monkey Island series it was responsible for a few "firsts": it was the first game in the series to introduce the verb wheel (copied from 1995's Full Throttle), the first game in the series to give Guybrush a voice (thanks to the efforts of Dominic Armato) and also the first in the series to not have its original creator, Ron Gilbert, involved (although Gilbert said that the producers Jonathan Ackley and Larry Ahern did a "masterful job" regardless). The Curse of Monkey Island sold hundreds of thousands of copies over the few years since its release and was critically acclaimed with a Metacritic rating of 89. Despite the game being originally released more than 20 years ago, it was only re-released this year (not even a digital remaster). Nostalgia got the better of me and since I've seemingly misplaced my original copy of The Curse of Monkey Island I just had to get myself two copies of the game: one on GOG and one on Steam. Choona noticed it sitting there on my Pile of Shame in recent weeks and decided I should finally give it a go (again), meaning I now have another retro review to share with you all! I love the Disney-style animation and artwork which has resulted in the game aging very well, despite it being over two decades old. In fact, the art style probably inspired a whole bunch of Daedalic adventures since they look fairly similar. All the old jokes, puns, songs and mini-games I loved are there to be enjoyed and still bring a smile to my face such as insult sword-fighting, the sea shanty "A Pirate I Was Meant To Be" and "Papapishu". The game has a boatload of memorable characters, old and new. In terms of the old stalwarts you've got LeChuck, Elaine, Wally, the Voodoo Priestess, Stan and even Lemonhead (one of the Monkey Island cannibals). New characters include Guybrush's Barbershop Quarter crew (of three) and Murray the Demonic Skull (who is well and truly, a fan favourite). Dominic Armato who voices Guybrush Threepwood does a fantastic job; in fact, he did such a good job that he's the voice of Guybrush for every title in the series, including the remastered versions of The Secret of Monkey Island and Monkey Island 2. This also happened with Alexandra Boyd (who voices Elaine Marley), Earl Boen (who voices LeChuck) and Leilani Jones (who voices the Voodoo Lady). There are also several other veteran voice actors in this including the late Alan Young (who voiced Scrooge McDuck in "DuckTales" for many years), the late Gary Coleman (yes, the child star from "Diff'rent Strokes"), Gregg Berger (Grimlock from the cartoon "Transformers"), Terence McGovern (Launchpad from "DuckTales" and "Darkwing Duck"), Mary Kay Bergman (who does just about every female voice in "South Park") and Dave Fennoy (who went on to voice Lee in The Walking Dead). Oh, another "first" for this Monkey Island was that they used live instruments for the soundtrack instead of MIDI and wow, it's sensational; probably the best soundtrack out of all the Monkey Island games. I still whistle the Puerto Pollo background music to this day. The ending feels very rushed, like they either didn't know how to end the game or they simply ran out of time. The final chapter of the game is basically a four-room puzzle using only three new items and once you've solved it, the epilogue is a short cutscene with no talking whatsoever. It's a bit underwhelming. As The Curse of Monkey Island was developed in the late 90s it had improved upon the pixelart and MIDI that was prevalent in the first two titles, meaning it probably hasn't aged as poorly. This is probably why the game was just re-released instead of it being remastered like The Secret of Monkey Island and Monkey Island 2. While I personally don't think it needs to be digitally remastered, some might feel a bit ripped off that they're basically selling the same game that was released over 20 years ago with no significant improvements. 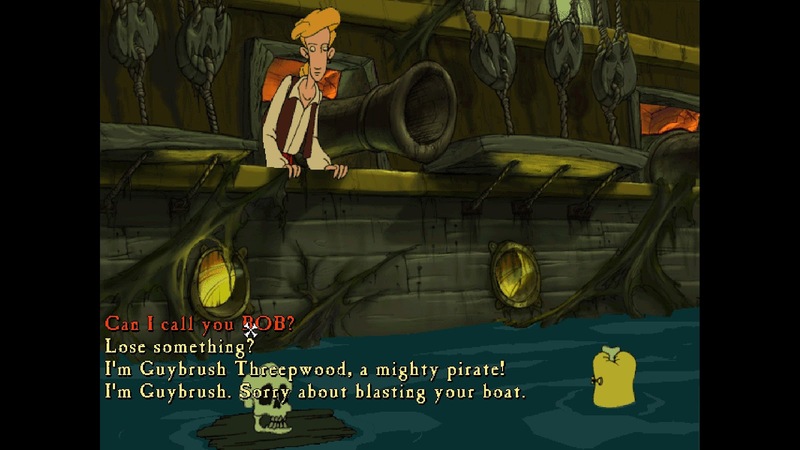 The Monkey Island games are infamous for illogical puzzle solutions, at least to newcomers of the series. While The Curse of Monkey Island isn't as bad as its predecessors, there are occasionally puzzles that take some time to figure out – even I got stumped despite having finished this game before. It's a minor issue but the text in the game seems a bit ugly for some reason, like it's all pixelated. I can't remember if it's always been like that or it's just like that now. 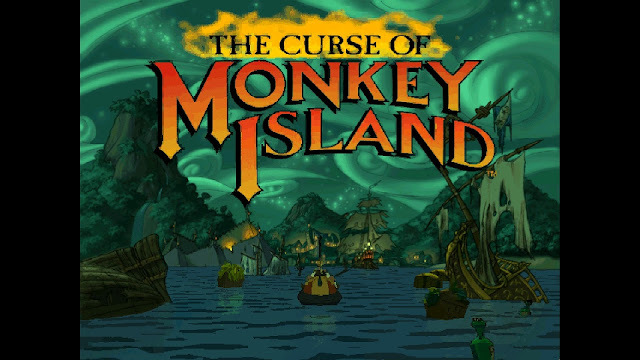 Ron Gilbert wasn't involved in the production of this game and for some fans, that means The Curse of Monkey Island isn't canon. I'm going to diplomatically sit on the fence about this issue but it might matter to some of you if you've only played the first two games and haven't tried any of the others. Just keep in mind Ron Gilbert thought the team did a good job with The Curse of Monkey Island, even if he probably disagrees with the direction they took with the plot. Unlike other films and games of my youth, The Curse of Monkey Island is still as entertaining now as it was when I originally fell in love with the game. A combination of beautiful animations, a hilarious plot, memorable characters, exceptional voice acting and a quality soundtrack means you've got yourself a classic Lucasarts point 'n' click adventure that stands the test of time. Puzzle solutions can be tricky for newcomers to the Monkey Island franchise though and the rushed ending can cast a pall on what is otherwise an excellent adventure game. Is the game worth $6.99 USD? : A classic point 'n' click adventure like The Curse of Monkey Island for under 10 bucks? Hell, yes.